"Hotel was clean and bed was comfortable." Have a question for Dana Marina Boutique Hotel? "Good location and nice restaurant around." "Good location, all staff are very friendly"
"This hotel is in a really good location." "Nice place to stay, would return." 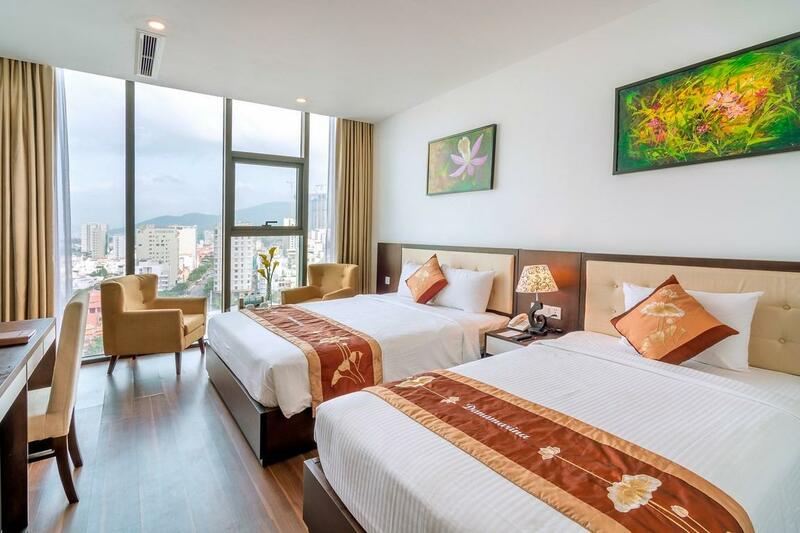 Whether you're a tourist or traveling on business, Dana Marina Boutique Hotel is a great choice for accommodation when visiting Da Nang. The property lies from the city center and provides accessibility to important town facilities. With its convenient location, the property offers easy access to the city's must-see destinations. Dana Marina Boutique Hotel offers impeccable service and all the essential amenities to invigorate the weary traveler. This property offers numerous on-site facilities to satisfy even the most discerning guest. Dana Marina Boutique Hotel is home to 69 guestrooms. 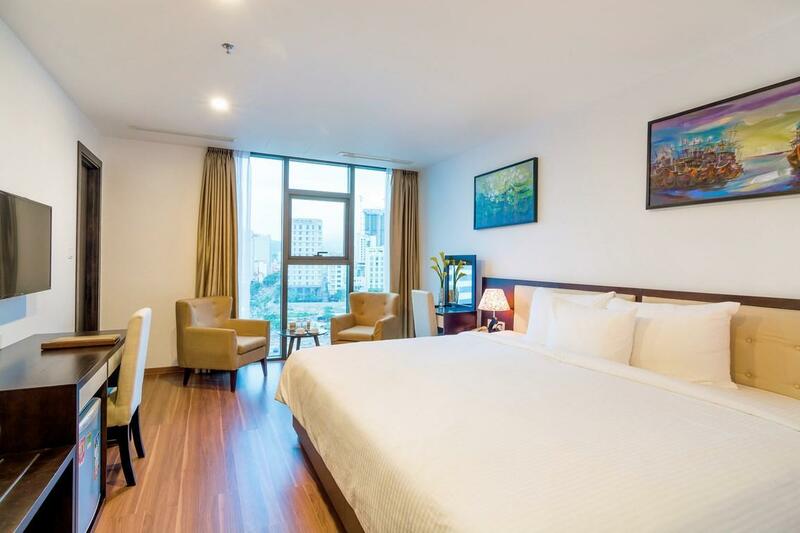 All are tastefully furnished, and many even provide such comforts as flat screen television, bathroom phone, complimentary instant coffee, complimentary tea, free welcome drink. The property's host of recreational offerings ensures you have plenty to do during your stay. 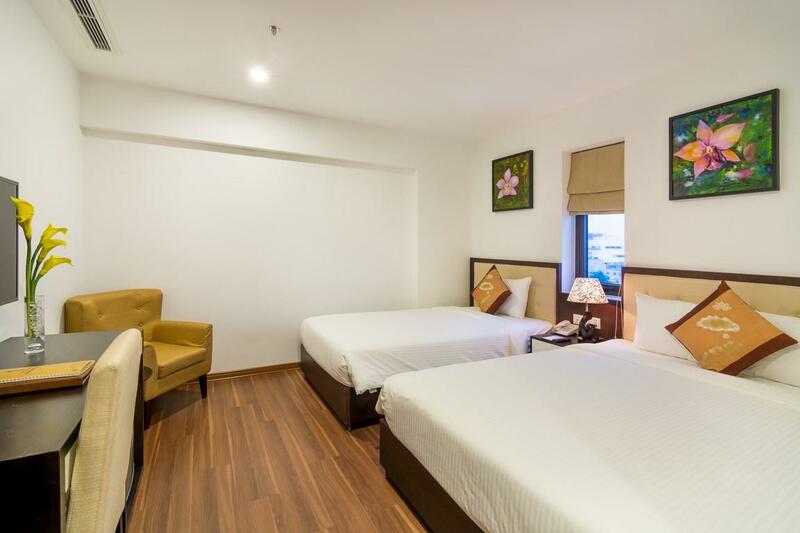 When you are looking for comfortable and convenient accommodation in Da Nang, make Dana Marina Boutique Hotel your home away from home. Almost everything is good value in this price. Specially the breakfast is tasty and clean. My family stayed for 4 nights and had 4 days different breakfast options. Chefs and staffs are nice and friendly. 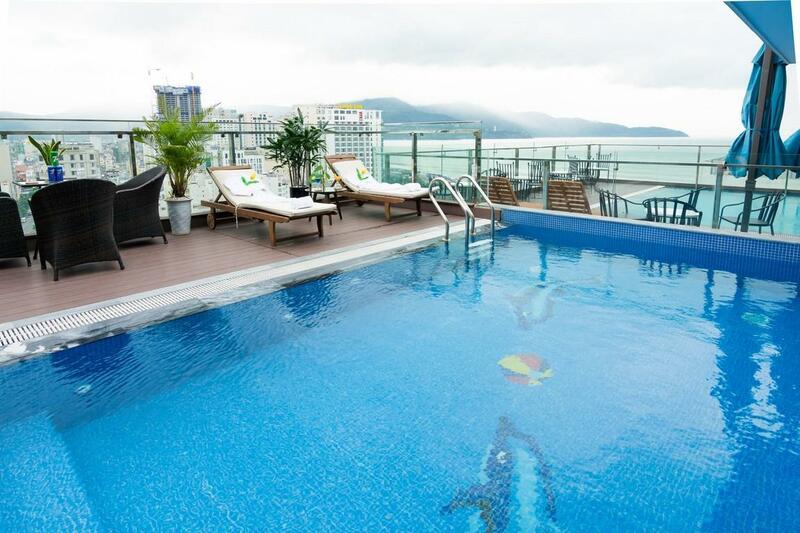 I do recommend this hotel in Da Nang. Hotel was clean and bed was comfortable. Don’t eat in the hotel. We checked in early and thought we would get quick lunch before venturing out. Big mistake on out part... walk into dinning room all lights off, no AC, and 2 staff members asleep on the floor. We question if the are open and they insist they are. While we should have left we did not. We order and inform us my st of what we ordered they did not have. Took 25 minutes to get water and coffee. Turns out they cooked nothing and went to local restaurant to pick it up. Give away when ur wAiter walks in carrying food in bags. Wish I could post pictures of the food as the chicken wings were not chicken wings at all. There was a head of a cooked chicken in dish. We paid and left. The staff was all laughing and highly unprofessional in the dining area. We were in the restaurant for close to 1.20 min to get disgustingly gross food. The staff was incredible! The room was beautiful and so quiet!!! The FOOD!!! What a spread! We had the best experience here and I would absolutely recommend this place again! Thank you for helping us make our last day in DaNang so wonderful. We wish we stayed longer!!! Booked after Lunar new year for 3 standard room double bed, Got free upgrade to 1 apartment and 2 deluxe rooms. Pros: Close to beach, 2 km straight to Dragon bridge Staff was so nice and helpful. Good breakfast as well Nice view at rooftop Cons: Water is un-predictable, hot-cold keep changing continuously Worth your money, cheap but very nice. Highly recommend. We know, hotel are not responsable for valuable but they should be responsable for the guest safety. I dont believe a place is safe when any body could enter your room and search your suitcase. What upset me the most is no manager accepted to talk to me about the issue. I exposed the case at 8.30 am. at 12 noon no manager came to speak to me. I left, not to miss my plane. Yes there is a safe in the room but no one knew how to open it, weird isn't ? Excellent location near beach. Less than 5 minutes walk. Clean room. Service staff was excellent, helpful and courteous. They when out of their way to help us in transportation and gave good recommendations to food and places of visit. Amazing expérience, worth the price !! Staff is great, the breakfast was impressiv, and all the equipment was perfect !! Go there you won't regret it !! Good to stay on 14th floor with ocean view . Room is small for type of triple. Breakfast is fine but should be improved. I thought early check in was available but we had to pay one additional night for Tuesday as we checked in at 2:00 am on wednesday due to the flight schedule. Hotel said we had to wait for the check in till 2:00pm to avoid payment for Tuesday and it made our family feel bad at the beginning. Without this incident, everything was quite satisfying. Hotel is just 100m walking distance to beach, happening in the evening and night. Its also about 15 mins walk to Danang iconic Dragon Bridge. Feel warm and happy with the politeness of receptionists and hotel staff, smile and greet to every guests when meet each other. We also book the car tour to Bana Hill & Marble Mountain, comfortable and pleasure journey throughout the days in Danang. Lastly, the breakfast buffet also have many choices, it changes everyday and we never get bored of having it until the day we check out. Nice experience staying here, will be back again! Pros: - friendly receptionist and staff, who will introduce and explain according to our needs. - good hotel car service who bring us for the day tour to Bana Hill and also Marble Mountains (need to pay). - stay 3 nights and the breakfast is change everyday, great choices and taste good. 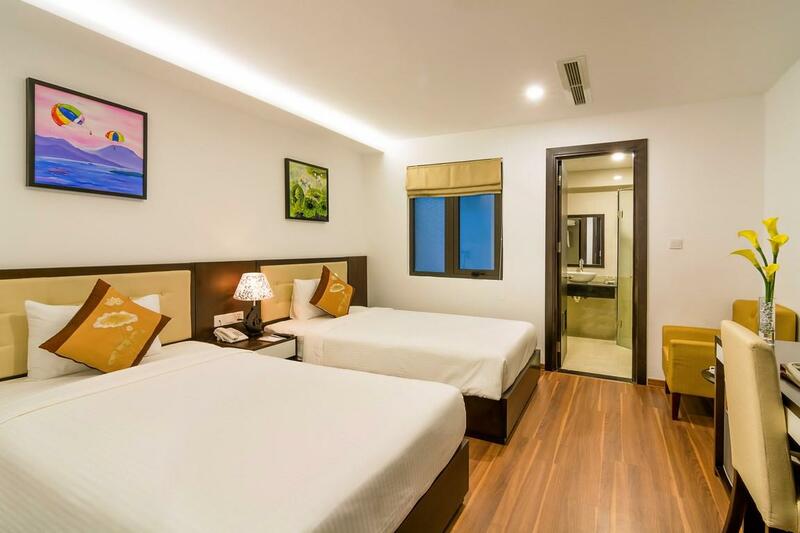 - convenient location, just 3 mins walk to My Khe beach and around 10 mins walk to Dragon Bridge. Cons: - hotel room (405) is in front housekeeping store, the cleaning cart is always put in front our room, blocking our access. - poor sound proof, get disturb by other guests during night time. - bathroom water is stucked and hard to flow out. 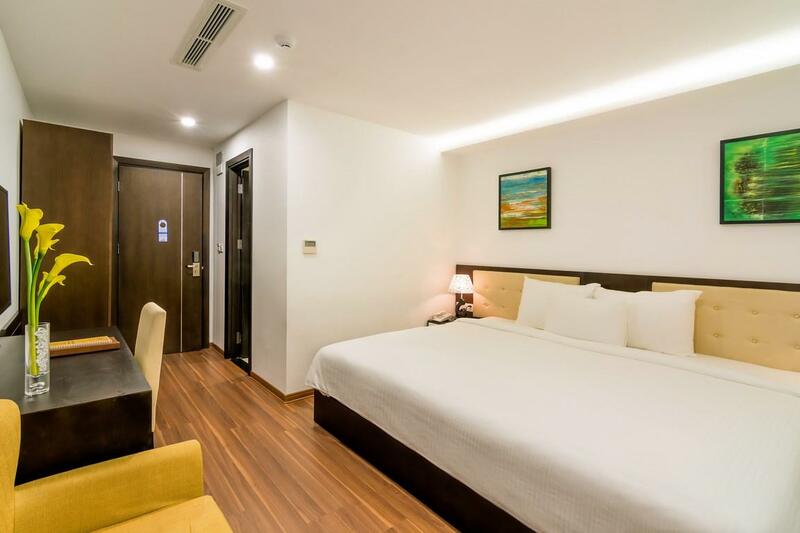 Overall it's still good, recommend for 3 persons as they have triple room. We had a great time staying at the hotel, with the deal we got it a bang for your buck. Staffs are all very friendly and helpful. Walking to the beach is not very far, which can be expected with a non private beach hotel. Breakfast is ok, we booked lunch at the hotel twice, traditional Vietnamese food which is excellent after trying so many seafood or specialities from outside. Pros: Close to beach and restaurants Cons Breakfast was a disappointment The swimming pool and gym were a joke I recommend finding another hotel for a better value. Air condition only aply in the room but not shower room. The shower curtain like child play. It just fall off the fixture when you pull the curtain. The towels are not very nice at all. Not much around the property apart from the beeches. I am a female solo traveller in Da Nang. I checked in at the hotel and found the room totally out of expectation. It is dim, humid and smelly. It is a small room with a view of three walls full of dust, which is a dead corner of the hotel. I requested for a change of room and the receptionist replied in the negative as the hotel was fully booked and the last customer had just checked in so there was no other room to change for me. As i felt really uncomfortable in the room, i decided to check out the hotel and i would book another one. Seeing that i was checking out, the receptionsit asked if i wanted to change to another room with a bigger window and better view. I was so disappointed as she had just told me that the hotel had been fully booked but then they had a spare room for me. 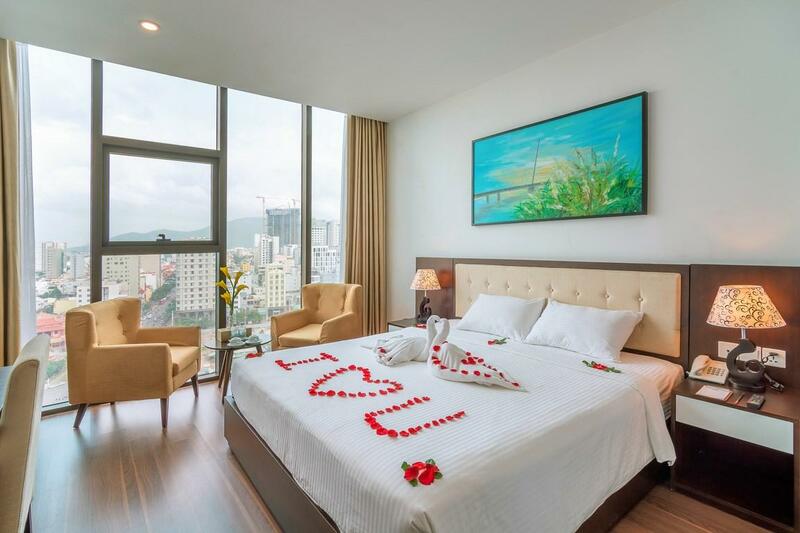 Seemingly she had just lied to me, so i checked out finally and i would never get into this hotel for any future trip here in Da Nang.